He’s a virtual rock star who has amassed massive following because of his mind-blowing covers. From B.B. 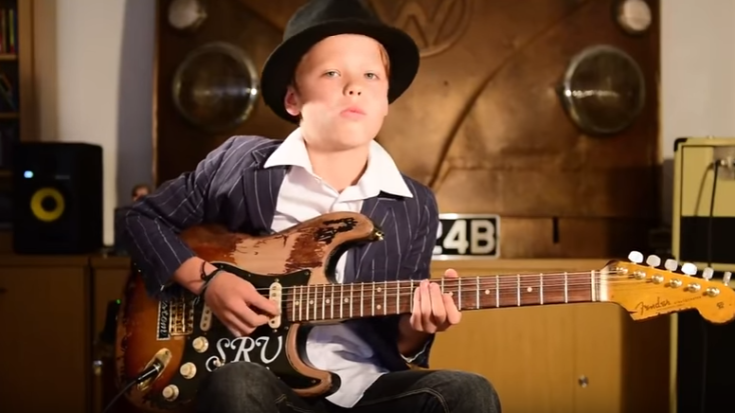 King to Stevie Ray Vaughan, the kid has some serious guitar chops. Watching him play is impressive and highly entertaining – he really looks like he’s having a grand time making music! At that age, most kids are probably playing with air guitar or drums but not Toby Lee. He’s the real deal and perhaps the best thing about him is how he keeps the blues alive with his cover versions. There’s plenty of time to create his original music soon but for now, we don’t mind hearing his take of these timeless classics! In fact, we just love it!